How do they move, eat, reproduce, and respond? 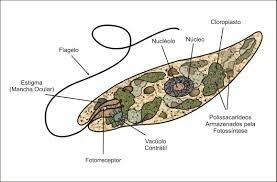 The euglena gets its food from photosynthesis and by absorbing nutrients. It has one flagella which helps it move. It reproduces by asexual binary fission. It responds by the eyespot which helps it find light. 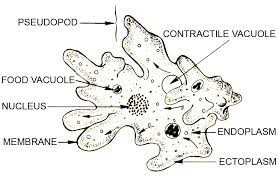 It uses its cilia to sweep the food into the oral groove. 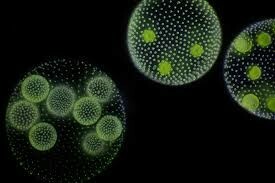 It changes its cilia to move and reproduces by binary fission conjunction. I can do a thing called conduction. 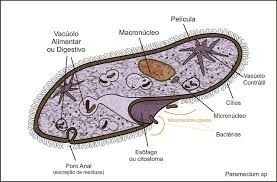 Paramecium Feeding Magnified 400X! High Definition!